Sometimes it is good to just help down the stress, worries and concerns of daily life and get a camera and just go take some photographs. Photography can easily make you forget your troubles. The photos don’t have to be perfect, you don’t have to follow the rule of thirds, you just need a camera, a memory card and as little as 30 mins. 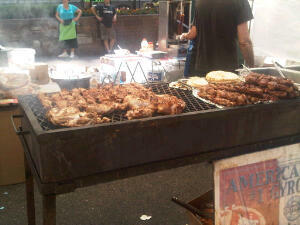 The photographs you see in this blog were taken with my camera phone while strolling in lower Manhattan on Memorial Day 2012. I didn’t want to take my professional camera with heavy lens, flash and other equipment. I was just out for a few moments of relaxation. Take time out for yourself to relax. Smell the roses but also take the photographs. Please share, comment, respond- do something. 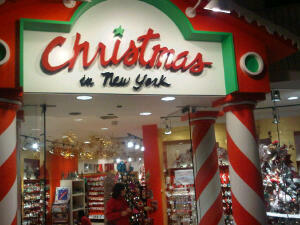 There is no better time to visit New York City than Christmas time. The stores are decorated, there is Christmas music, special foods, special things to do and see all over the five boroughs. Yesn there are five boroughs that make up the city. There is the Bronx, Brooklyn, Manhattan, Staten Island, and Queens. This blog will focus on Christmas and other holiday happenings in Manhattan. Grand Central Terminal (GCT) at 42nd Street is a must visit. They have an amazing light show on the ceiling of GCT. You will be dazzled by the display. Then when that it over you can walk to the stores inside the terminal and do your shopping. Downstairs GCT there are restaurants like Juniors (famous for its chesecake) and others. Rockefeler Center is an attraction itself. There are several shops, restaurants, and of course the skating rink, the top of the Rock (for breathtaking views of Manhattan), and now the world’s most famous Christmas tree. That alone is worth the trip to Manhattan. East 14th Street. They have about 100 tents and they sell all sort of handmade ornaments, blown glass, food, pastries, jewelery, and much more. Union Square is full of life all year round with NYU, Barnes and Noble, TBN studios, Best Buy, Whole Foods Market, Staples, and much more. It is vintage New York, but at Christmas they really put on a show. Several subways connect at Union Square. You will love it. FIFTH AVENUE -The stores on Fifth Avenue will wow you with their window show and when you go inside you will find great prices. On Fifth Avenue you have the Empire State Building, Saks Fitfh Avenue, FAO Schwartz (toy store that adults love too), the Apple Store, and many more. This is a must see. SOUTH STREET SEAPORT is a must any time of year. However, at Christmas they have a beautiful Christmas tree and carolers on Friday evenings. Then there are the restaurants overlooking the East River on one side, and on the other side you have the spectacular view of the Brooklyn Bridge. Pier 17 is the mall at the South Street Seaport and you have Victoria Secret, Game Stop and much more. From the South Street Seaport you can take the ferry to Ikea store in Brooklyn, Water Taxi, and other ferries to the Statue of Liberty. Put this on your New York City’s Bucket list. You will be glad you did. Today is September 10 and all the news is about 9/11 which is tomorrow. In New York City we are on high alert. In a little while I’m heading out with my camera to see what the city is like. From the news, things are really serious and there are long delays on bridges. I remember 9/11/2001 as if it were yesterday. I will give you a brief account and you will see why it’s ok if the train is late. 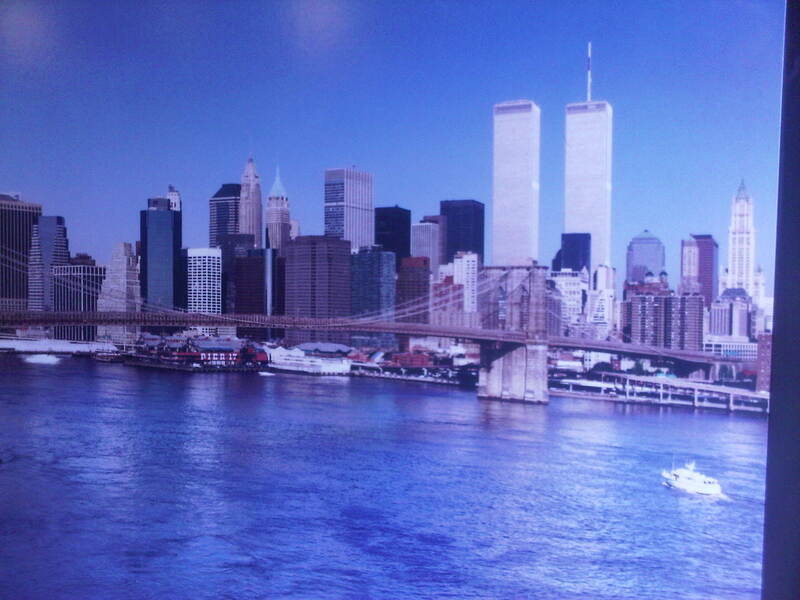 A late train saved me as I was heading to the WTC that morning. This is certainly a September to remember because it has been ten years since the attack. Everybody is asking where were you on September 11? Do you remember? Yes! I remember where I was. I saw the second lane hit the building nd I saw people jumping out the buildings. 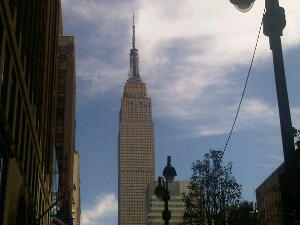 I was on my way to the World Trade Center to go to the bank. It was the day of the Primary elections for Mayor of NYC. I had on my sneakers and my dress up shoes in my bag. After work, I was supposed to attend a party at the Sheraton Hotel. 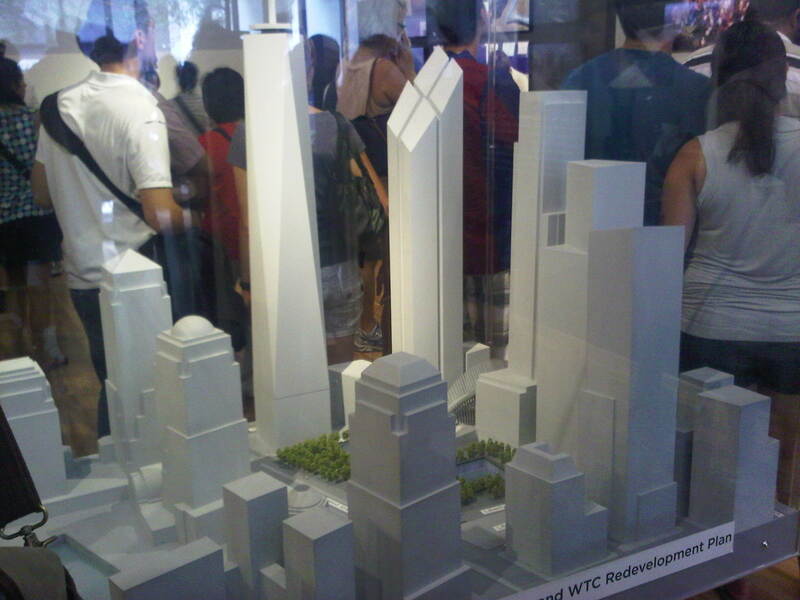 Why was I going to the WTC? I was going to the bank so I could have some extra cash on me. My mom always say you need a taxi fare when you go out. I was to be at work at 9am. I was at Broadway Junction waiting for the J train that morning. I was early because I had to go to the bank at WTC and walk about 5 minutes to the building where I worked. Thank God the train was late so when it came I looked at my watch and I knew I would not have enough time to get to the World Trade Center and make it to the office on time. So, I said I would just go lunch time. If you are familiar with the J train- it runs over the Williamsburg Bridge and then goes into the tunnel. Just as we were about to enter the tunnel a woman on the train cellphone rang and they told her a plane hat hit the World trade Center. 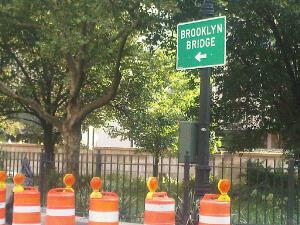 We then went into the tunnel and after about 5-10 minutes I was at Brooklyn Bridge- City Hall where I got off. When I came up the stairs I looked at the twin towers and it was a ball of fire then I saw another plane go write into the second tower. The crowd of people who stood outside the building where I worked though a pilot might have lost his way. We had no idea it was deliberate. I went into my building and went upstairs to my office. There were few colleagues in the office that morning because it was Mayoral Primary Election day, September 11, 2001. Some of my colleagues were out campaigning. I was assigned to be in the office. My train was late so I missed being in the World Trade Center and thus my life was spared. After about five minutes, the security came and told us we had to evacuate the building because terrorists had hit the World Trade Center. We came outside and stood looking at the buildings and that was when we saw people jumping out the buildings. Police told us to move up Center Street. We took off for dear life. Then we went up about Worth Street and when we looked back we saw the towers coming down. We started to run even faster. We were out of breath so we stopped at a gym and when we looked at the TV we saw the Pentagon being hit. We stood there in disbelief. After we heard the news police told us to keep walking. I had never walked that street before. I had no idea where I was going. We then came to a bridge and people said it was the 59th street bridge. But to get on the bridge we had to climb over a fence. The men helped the ladies over and we jumped onto the road. We had to be careful because that might have been the only bridge open and cars were coming on it. We just kept walking. We ended up in Queens. 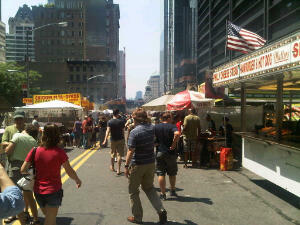 So on 9/11 I walked from the foot of Brooklyn Bridge (Manhattan side) to Queens. I had no idea where I was going. I was just walking with the crowd. This is the first time I am writing it down, but I remember it as if it happened yesterday. 9/11 caused a September to remember. I will stop here for this blog. I did get home to Brooklyn after many hours of walking and finally hopping onto the last train out of Queens. This weekend I have to turn off the TV as soon as they start with all the images again. For me it is too much to take. Yet, as traumatic as my 9/11 experiences were they cannot be compared to those who suffered in it and those families who are suffering through it. I empathize with all the families of the victims and I pray that after this tenth anniversary the pain will get less and less for everyone. Have a safe 9/11 and a great weekend. In five days we will be recalling the events of 9/11 for the tenth time. For some that is good news, for others, bad news. Yes, this is the tenth anniversary of 9/11 and we should have some questions. One question could be, “Are we safer than we were ten years ago? Another question we might have is now that we are rebuilding the World Trade Center (WTC) on the very site that the twin towers stood, are we prone to another attack? 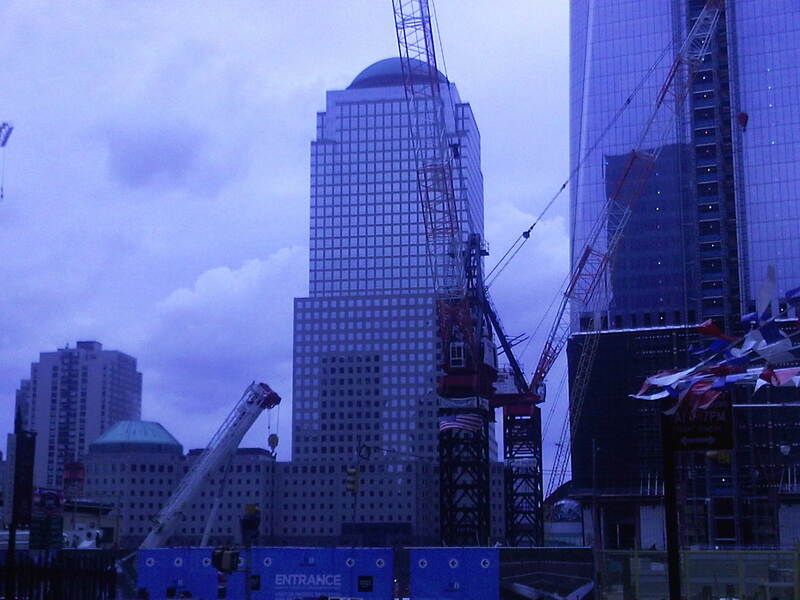 Should Ground Zero be hallowed ground with only the memorial? Yesterday was Labor Day, so being a photographer I went out to get a few photographs to see how people were spending their Labor Day. I wrote about it and I have pictures, so please take a look at yesterday’s blog. 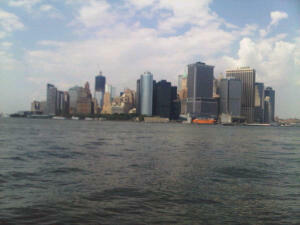 I went to lower Manhattan in New York City and I was really impressed with what I saw. There is a 9/11 Memorial on Vesey Street between Broadway and Church Street. It was packed. 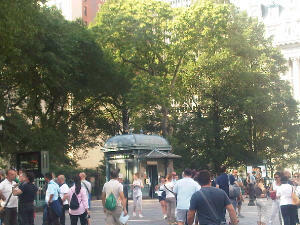 If you are ever in NYC go visit it. It is free, but, I did see a donation box. I don’t know if Washington, D.C. or Pennsylvania has anything like this, but, it will really give you some insight into the events of that day in New York City in particular. 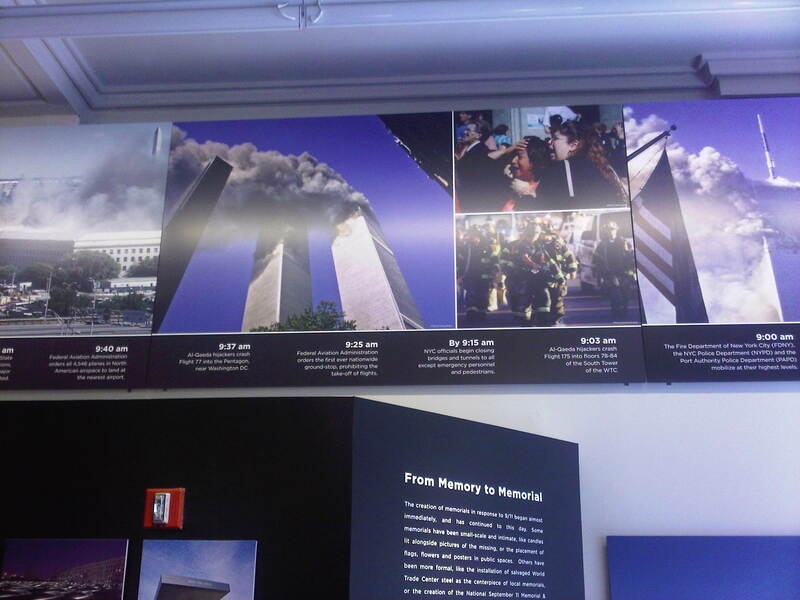 I have some pictures which I will post in my tribute on 9/11. Don’t miss it. There are so many lessons from 9/11, but what we can all learn is that no matter if life has us at “ground zero” level, (the lowest level) we can make a decision to rise up and rebuild. It will be a challenge, but as long as you are breathing and you are in your right mind, don’t just stay down, but rise up and do the little that you can. To quote a “famous” person, “Yes, you can.” Enjoy your day!